When you join Evonik, you will work together in interdisciplinary teams towards a common goal or set of objectives. Exchanging ideas with people from various countries with diverse backgrounds will help you identify and exploit your potential. You will also view the same challenges from completely different angles – and often find that the team provides the best solution to accomplish difficult tasks. 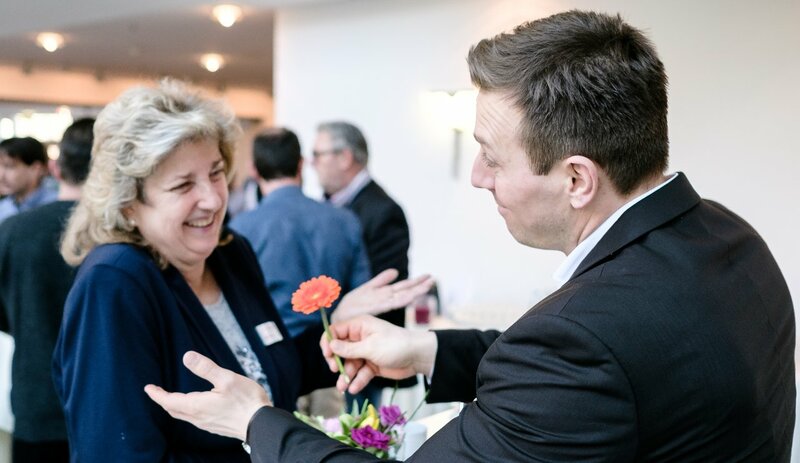 You will find that one of the greatest benefits of working in a team at Evonik is the inspiration and ideas that can result from team discussions. You and every other team member will have the confidence to suggest ideas in an inspiring team environment. The team spirit at Evonik also means that you will be more motivated and the whole process of your work becomes more efficient. For example, if there is a problem faced along the way, there are more ‘hands on deck’ to help solve the issue. But that’s not all. On top of all the support you’ll get, you will feel a sense of belonging as you work to achieve outstanding results and discover extraordinary solutions. For example, in our project houses and Science-to-Business Centers (S2B-Center), our researchers from various business fields explore the fundamental issues of tomorrow. 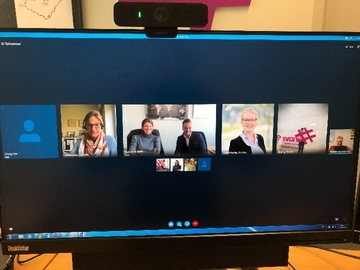 Long-term professional and personal networks often result from this collaborative research, which reinforces the team spirit within our company. At Evonik we scout candidates for being cooperative, but we also believe in developing collaboration skills through company programs and initiatives like our “Global Ideation Jam” that promotes the implementation of unconventional ideas and strengthens the innovation culture as well as collaboration across departmental and country boundaries. 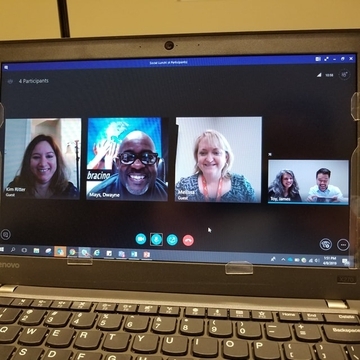 April 15, 2019, 12:15 p.m.
Our global team virtually together. Looking forward to seeing you all in person in May! !